Pilates Nest Mama Challenge // Day #4 - Upper Body Strengthen + Sculpt — Pilates Nest move well. live well. 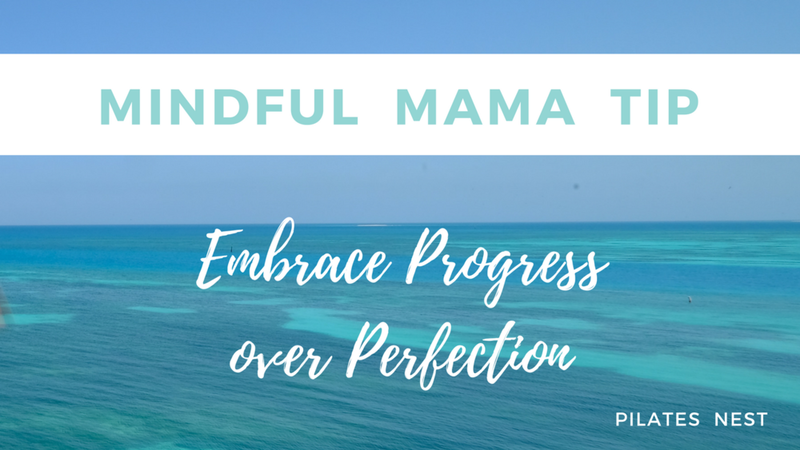 Let's dive into today's Mindful Mama Tip, embrace progress over perfection. It's our mantra here at the Pilates Nest. At PILATES NEST, we choose progress over perfection and embrace where we’re at on our individual journeys. Small steps every day can have a profound effect on your life in the longer term. Instead of focusing on perfection, focus on the progress. If you missed a workout, don’t give up or feel guilty. Forgive yourself and move on literally! If you find yourself waiting for the perfect timing or setting to get your workout done, remember DONE is better than NOT. In today's 10 minute Pilates workout, you'll strengthen and sculpt your upper body including your arms, shoulders, and upper back to create strong, flexible, and balanced body. PS - Not signed up for the challenge yet but want to wake up to a fresh, new, rejuvenating 10 minutes Pilates workout in your inbox each day of the challenge to start your morning? Click here to get setup. JOIN the challenge before it's over! PPS - If you haven't been able to start and want help, post in our private Facebook group. Let our community help you troubleshoot how to make this work for you! Ready to take more action?